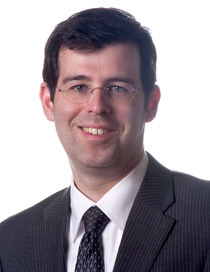 Jason R. Hirsch is a partner in the Birmingham, Michigan office of Morganroth & Morganroth. Mr. Hirsch's practice primarily focuses on complex commercial litigation, intellectual property litigation, probate matters, white collar criminal matters, Constitutional litigation, business matters, general civil litigation and appeals. Mr. Hirsch joined the firm in 1999 after graduating from The University of Michigan Law School. Over the past several years, Mr. Hirsch has successfully handled numerous contractual disputes, business torts, trust and estate issues and white collar criminal matters on behalf of individuals and businesses. Co-counsel in a complex commercial matter on behalf of a software automotive engineering company against a large automotive manufacturer that resulted in a breach of contract and tortious interference judgment of $22.3 million in favor of his client and a no cause against the automotive manufacturer as to its $18 million counterclaim. Co-counsel on behalf of Dr. Jack Kevorkian in appellate matters and the successful petition for his early release from prison. Co-counsel on behalf of Christine Beatty as a defendant in the Flagg/Tamara Greene federal court case which resulted in the complete dismissal of his client from the case prior to trial. Co-counsel in defense of civil enforcement action initiated by the Michigan Attorney General which resulted in no fines or sanctions being imposed against his client. Co-counsel for law firm seeking recovery of substantial fees over which major bank asserted an alleged security interest wherein the law firm recovered the full amount of its actual hourly fees. Co-counsel for agency labor supplier to a major automotive manufacturer in complex litigation alleging fraud and misrepresentation by the major automotive manufacturer and its financial subsidiary. Co-counsel in successful defense of architectural copyright infringement suit between two major condominium developers which resulted in dismissal of all claims against his client. Co-counsel for construction general contractor in litigations against local subsidiary of nationally known casino operator that resulted in substantial awards against the casino operator's subsidiary. Co-counsel for inmate severely injured while in custody of county jail due to the grossly negligent care and supervision of the health care provider retained by the county which resulted in a settlement in the amount of the policy limit of the health care provider's insurance. Co-counsel for employee wrongfully terminated by an automotive supplier in breach of written employment agreement which resulted in a substantial judgment in favor of employee. Co-counsel in successful defense of pharmaceutical consulting firm and its principal in complex multi-state litigation/arbitration by pharmaceutical developer which resulted in highly favorable resolution for his clients. Mr. Hirsch earned his Bachelor's degree in Computer Science from The University of Michigan in 1993, and his Juris Doctor from The University of Michigan Law School in 1997. Mr. Hirsch is a member of the State Bar of Michigan, the federal courts in the State of Michigan, the United States Court of Appeals for the Sixth Circuit, the Oakland county Bar Association, the American Bar Association and the Federal Bar Association. Mr. Hirsch has also served as a director of Jewish Senior Life, a non-profit organization serving the needs of seniors in metropolitan Detroit.